26' x 16' which will camedate the largest laice sized rugs! We will be on our way IMMEDIATELY to pick up your rug for emergency! Air dusting or Air cleaning is the first and most important step in washing wool rugs. Airloom uses the power of compressed air with patented tools to perform this crucial pre-cleaning. We first start with the rug face down and push the dry soil thru the foundation of the rug followed by removing it from the front. As the wand is moved across the rug each pass removes more and more dirt. 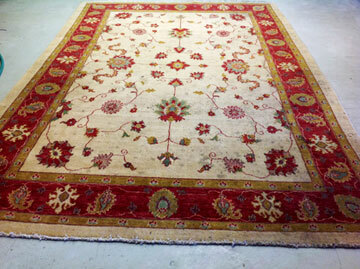 Airloom Oriental Washing Rug Co. is the ONLY place that you can find this service in Arizona. 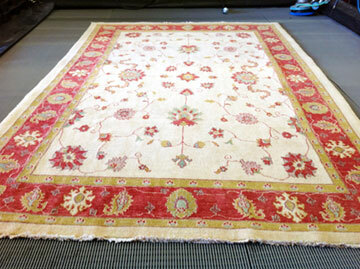 Drop off in person any rug at our store for washing and cleaning made by appointment only. Please note that our store hours of operation may change upon pickup and delivery commitments. Please, call us first at (520) 571-1703 to schedule date and time to drop off your rug to get it washed and cleaned. 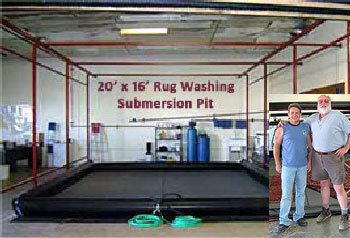 Rugs Will NOT Shrink or change shape after washing 100% Workmanship Satisfaction Guarantee! Our sprinter VAN can pick up your palace size rugs! 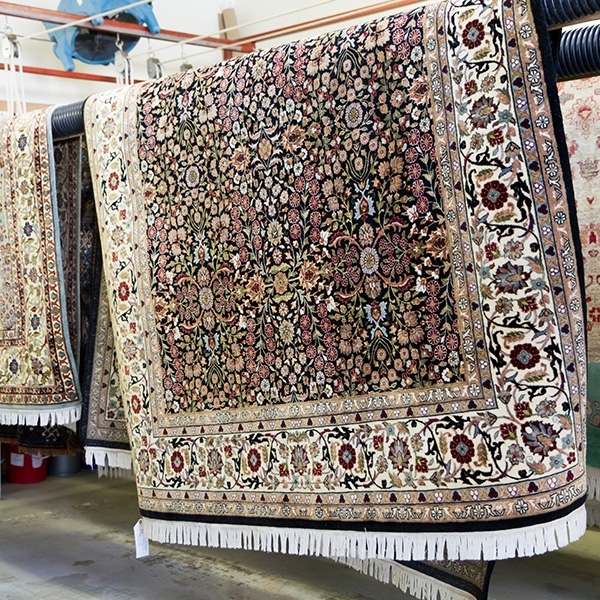 Play the video to watch how Airloom Oriental Rug Washing Co. washing the rugs. 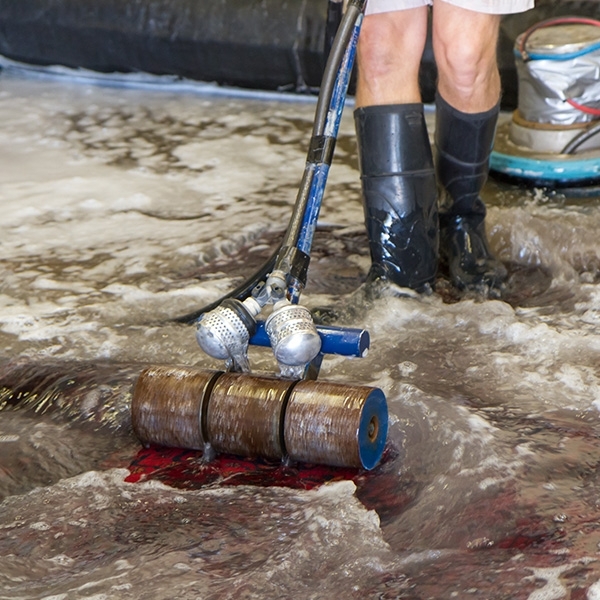 The processing includes Air Dust, Washing, Water Blowing, Drying, and Fringe. After the rug has been air dusted, washed and dried we then finish the rug by using compressed air again under the rug to remove any of the heavier sand which didn’t come out during the wash. We then go over the top with the air tool to just complete the job. Final grooming of the rug with a special brush to align all the fibers and the fringe. 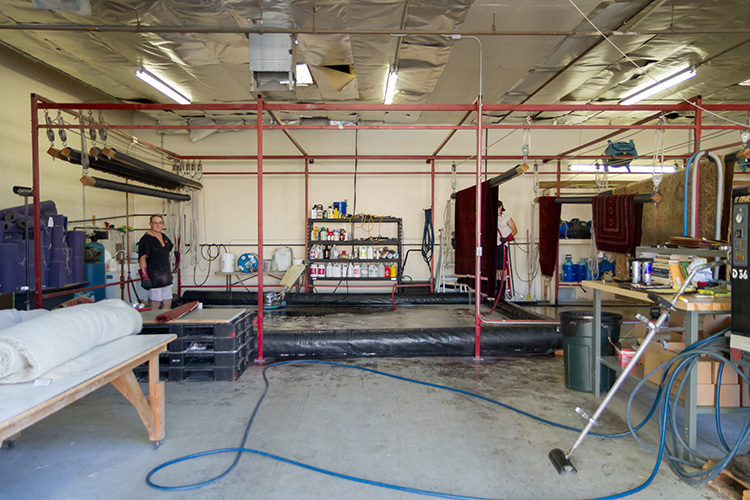 Tucson's Only & Largest In-Plant Oriental Rug Washing Facility. 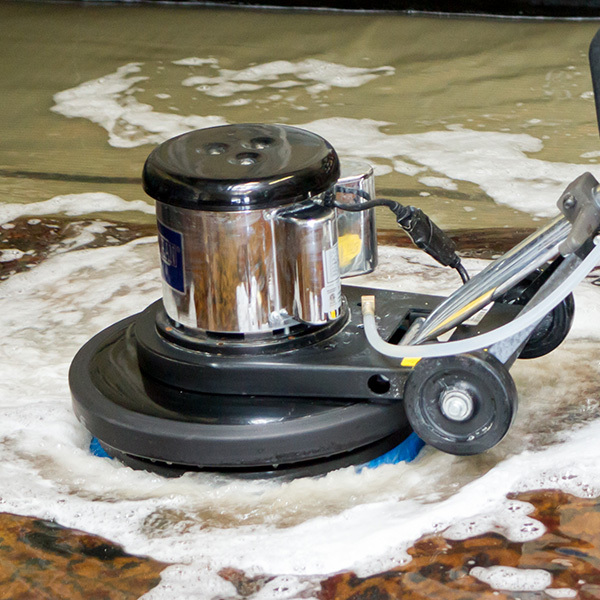 Using the world-renowned Australian cleaning system includes air dusting washing, submersion, pet urine, stain, spot removal and water damage restoration which includes disinfecting, sanitize and color correction. All work is performed following industry standards, so be at ease with your fine fabrics in our hands. 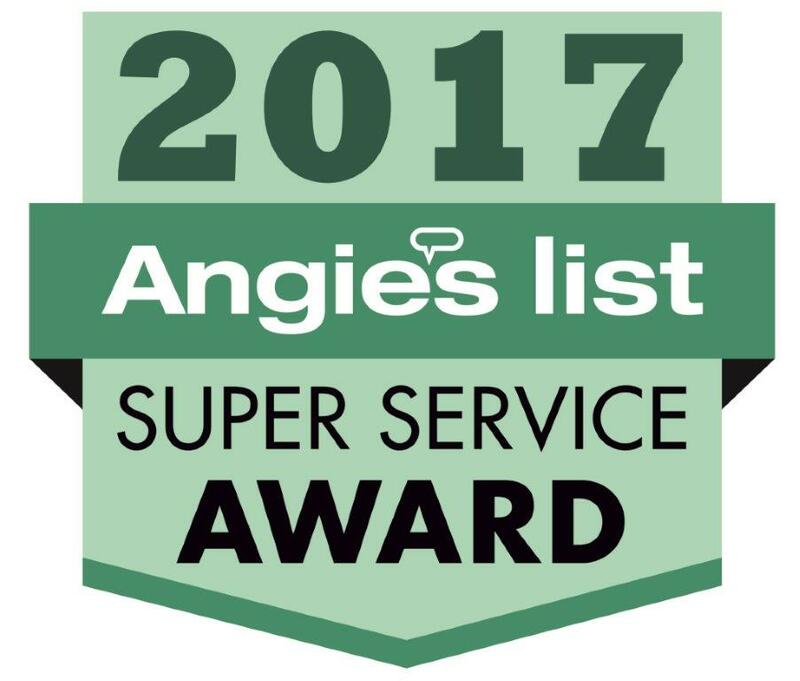 We accept complete responsibility of providing you with quality service... We guarantee it! 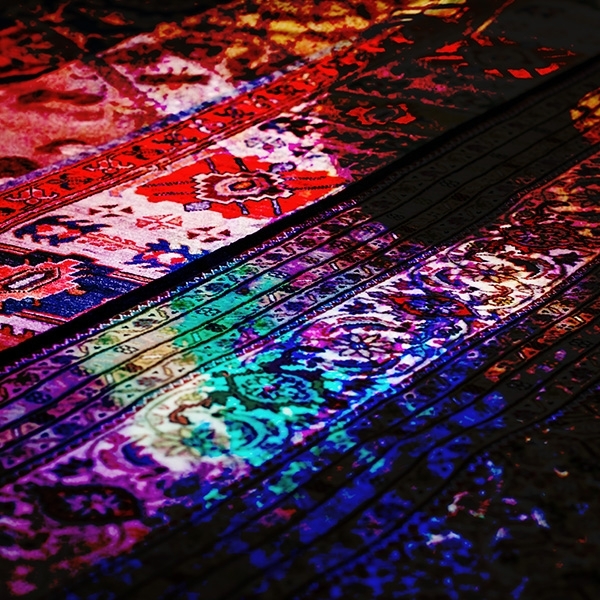 INSPECT: Construction, dyes, fibers and soils of your rug is determined. DUST: Compressed air is used to remove dirt and particles as well as dust mites, pet dander and mold spores. WASH: Hand washed in a submersion bath using fresh soft water. RINSE: Rinsing flushes away soils and cleaning agents. DRY: Gravity, air and mild heat dry the rug. We use the natural elements of air, water and rug washing agents to return them to their original magnificence - yes, in many cases that's the only word to describe the results once we've "washed" your fine rugs. This is the same method used to "rescue" so many rugs that were so badly damaged by Hurricane Katrina. If you see our van in your neighborhood or on the road, give us a call at (520) 571-1703 for a discount on your next oriental rug washing. This customer took the time to call every shop in Tucson and visited all of the websites too. We are proud to say that after all of the homework, she hired me to wash her rug. & this is how we can say with pride & authority. 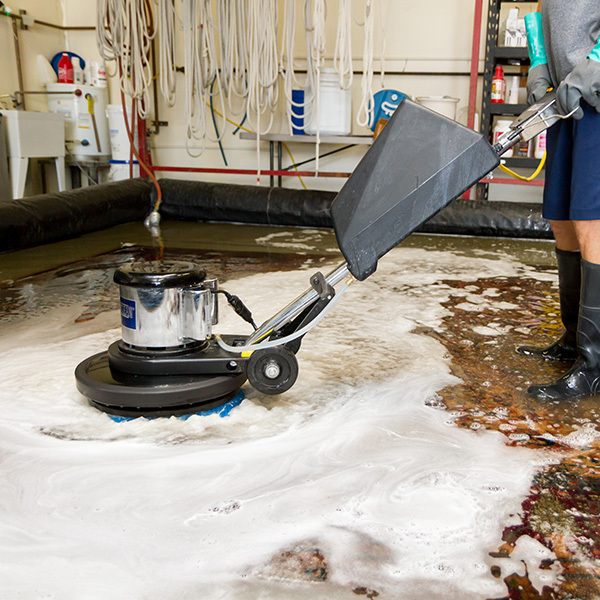 One of the leading authorities on flooring emphasize that the ONLY way to thoroughly wash a rug is a total submersion wash. 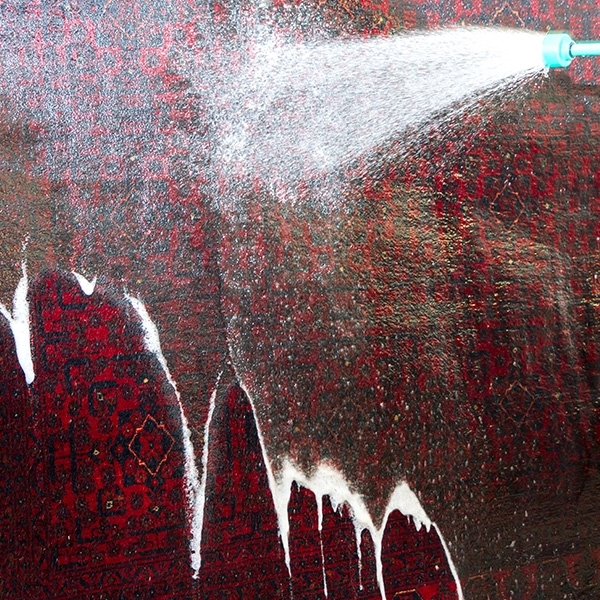 Surface washing a rug does not eliminate the mold, spores, dust mites and other 'creatures' that saturate your rugs. Not even industrial-type vacuum equipment will come close to complete cleaning and be sanitizing. 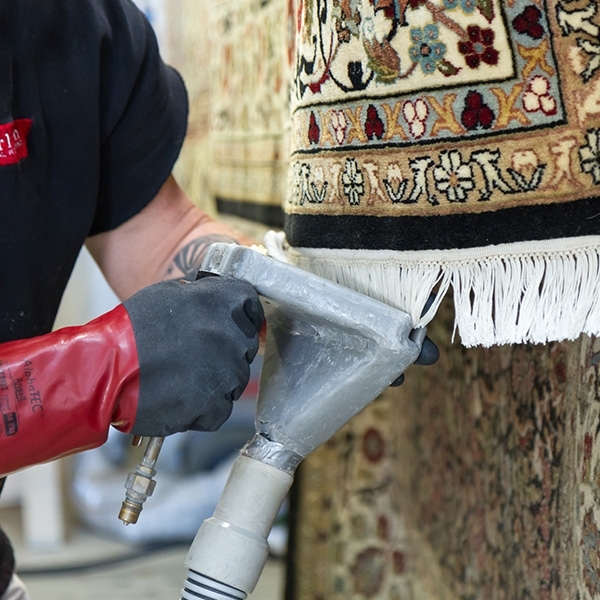 When we first made the decision to fully commit our time, effort and resources to not simply "clean oriental rugs", but to WASH Oriental Rugs bringing back the original beauty, we sought out the best, most successful and safest rug washing method. We wanted to ensure a healthy cleaning, no color bleed, odor removal and return your rugs to the original richness of its original beauty value. YES, we can totally eliminate even cat urine odor, not mask it or "perfume" it, but make it completely disappear...until the next time, but regular cleanings when these accident happen can maintain your rug's beauty, health, and value. During our search for the best Oriental rug washing process, we found the The world-renowned Auserehlian Oriental Rug Washing Method to be the best and traveled to attend and become certified as Oriental Rug Washing & Cleaning Specialists upon graduation. STANDING OPEN INVITATION: This unique rug washing process is so amazing, we invite you down to our facility for a guided tour and we will share some of our closely guarded secrets behind our patented Oriental rug cleaning system, the world-renowned Auserehlian Rug Cleaning System. 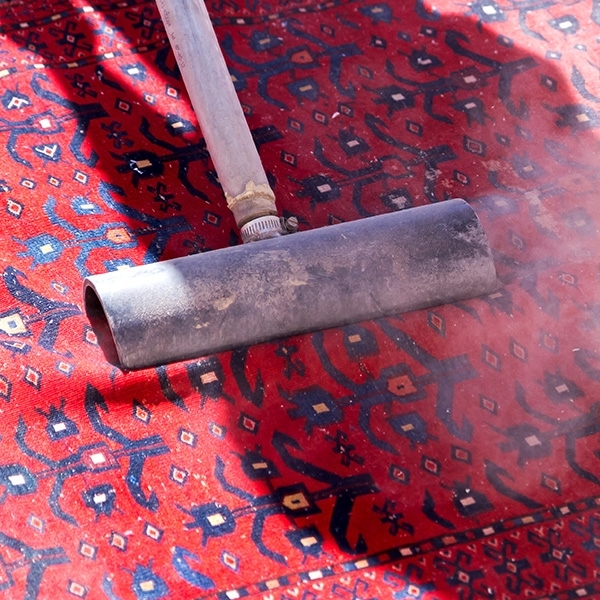 You are most welcome to visit when we regularly schedule the cleaning of a wide variety of rugs on any given Wednesday.